As the world reflects on the centenary of World War I ending in 1918 our pupils and staff have been creating our own remembrance art installation. 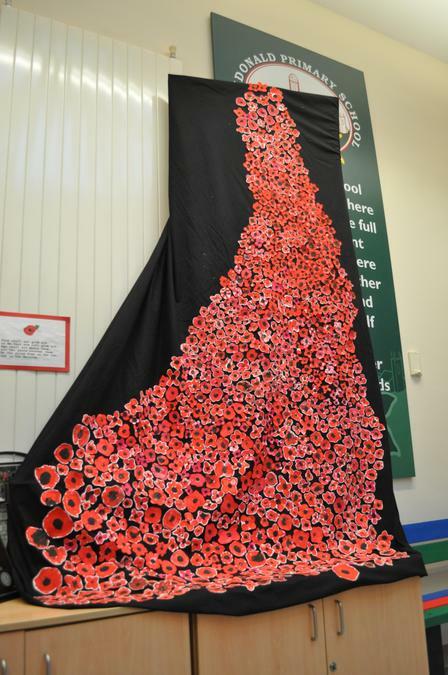 Our "flow of poppies", one created by each child, is currently on display in the reception area. Each poppy represents those young men from Dundonald who lost their lives and did not get to fulfil their lives ambitions.